I wish I could remember where I learned to make this square. 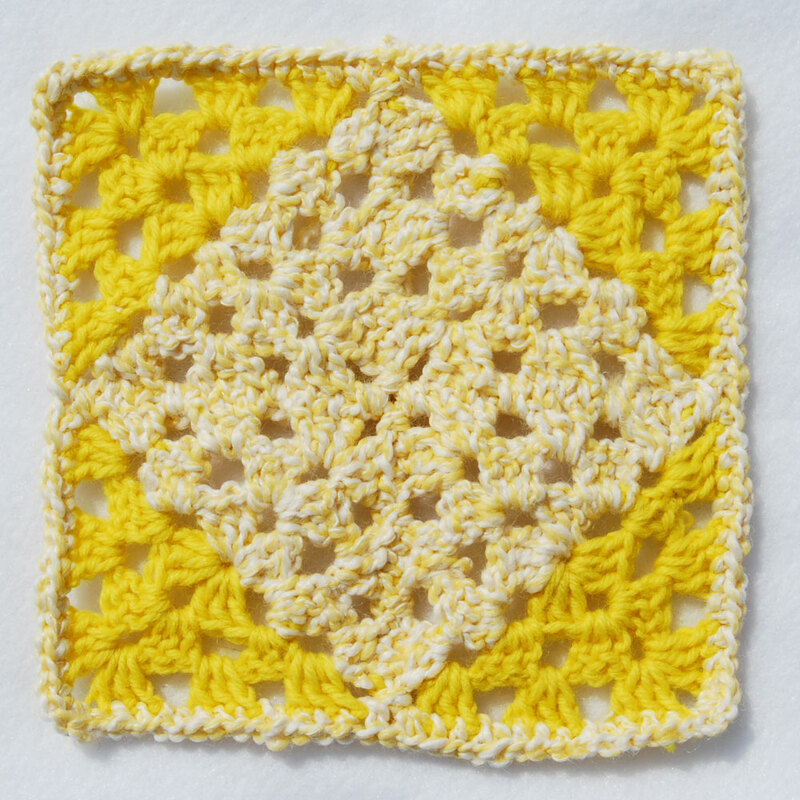 It was part of a patchwork granny square afghan that I found in a magazine years ago. The thing I like most about them is that you can turn the squares and put them together to create really neat patterns. 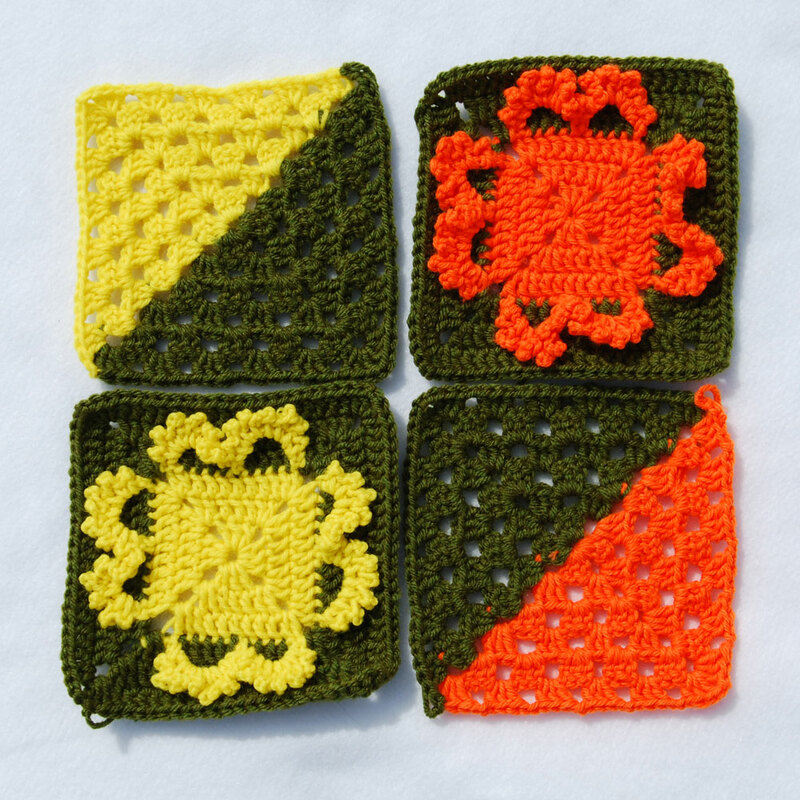 For example, here are two of the day 7 squares with the squares I made on day 2. I love how the green ties everything together to make a diagonal stripe! 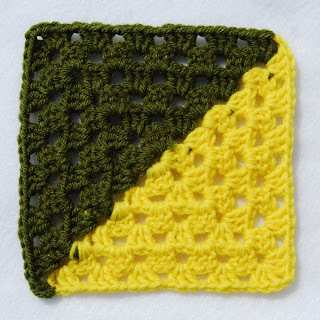 For my day 8 squares, I used a variation on the "Split in Two" grannies I made on day 7. This time around (pun intended), I made 8 small pieces and put them together to make a diamond. After all, everyone knows that a diamond is a granny's best friend!